If you’re new to VMware or still learning, gaining experience this post might be your interest as I’ll be talking about ESXi 6.0 downgrade options but also about the possibility to downgrade VMware infrastructure as a whole. It’s not something that cannot be done, but some preparations must be done previously in order to be able to revert back to for example vSphere 5.5 version (or to 6.5 version if you have upgraded to 6.7), if that was the version you were running before your upgrade. The way to revert back to previous release is fairly easy for ESXi hosts. Let’s say you have patched ESXi 5.5 to ESXi 6.0 and now you want to revert back. Step 1: During the boot sequence (after the BIOS init) hit Shift + R (Recovery mode). That’s all. The server will boot the previous version – (5.5 in our example), the next boot. Note that you won’t have the option to boot ESXi 6.0 anymore…. If you have successfully migrated from vCenter Server 5.5 to vCenter server 6.0 the downgrade is not necessary if you have let’s say some compatibility problems on your hosts. You can manage your hosts running ESXi 5.5 via vCenter 6.0. Option 2. I assume that you took a snapshot of your vCenter Server. Create a clone of your vCenter server, so you will keep the possibility to use this VM for v 6.0 > Revert the snapshot you took before the upgrade. What if I already upgraded some VMs to virtual hardware 11 (vmx-11)? 1. Snapshot – You can revert back in case you took a snapshot before you upgraded the virtual machine hardware. Well this obviously not work if the VM has already been created in for example vmx-10 and you only want vmx-8…. 2. Convert the VM – with VMware converter you have a possibility to specify which virtual hardware you want for the destination VM. Easy and without a risk as it’s a cloning operation which does not alter the source disks. 3. Create New VM – You can create new VM with let’s say C# client and specify for example virtual hardware version 8. 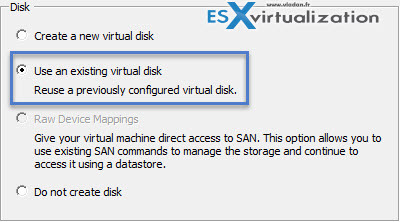 Then attach the existing virtual disk to that VM. Yes it’s supported way, according to this VMware KB article. Then there are some unsupported ways to change the virtual hardware by editing the vmx file, but I won’t list those, as it’s unsupported. This is only the tip of the iceberg, as there might also be product incompatibility version involved as well. Let’s say you run SRM, vCloud Director, vSphere Replication…. It’s certainly worth to think twice before starting to upgrade your virtual infrastructure. I’m not fan of upgrading and usually wait quite a time, then (if I have time) start to gather documentation, compatibility options. Dependency with other products I run at the client’s side. Backup software… You get the picture. 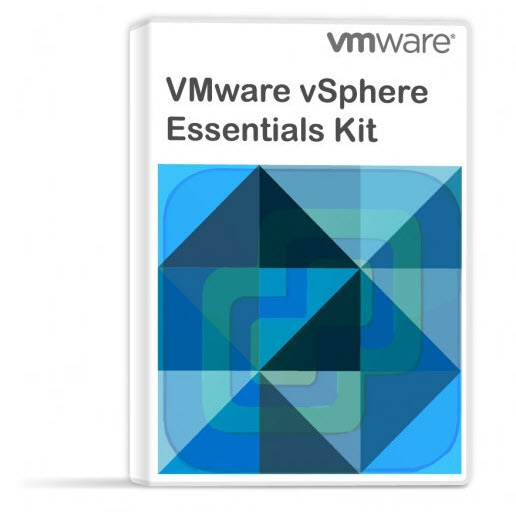 For more tutorials check our vSphere 6.0 page or our Free Tools page for free tools destined for IT admins and virtualization engineers. With that said I hope you liked this post. You may want to share it through your social media channels, re-tweet, etc? Don’t forget to subscribe to our RSS feed, FB and Twitter ! !